Size female: 27,4 - 32 mm. This species is endemic to Peru, Departamento Ucayali. 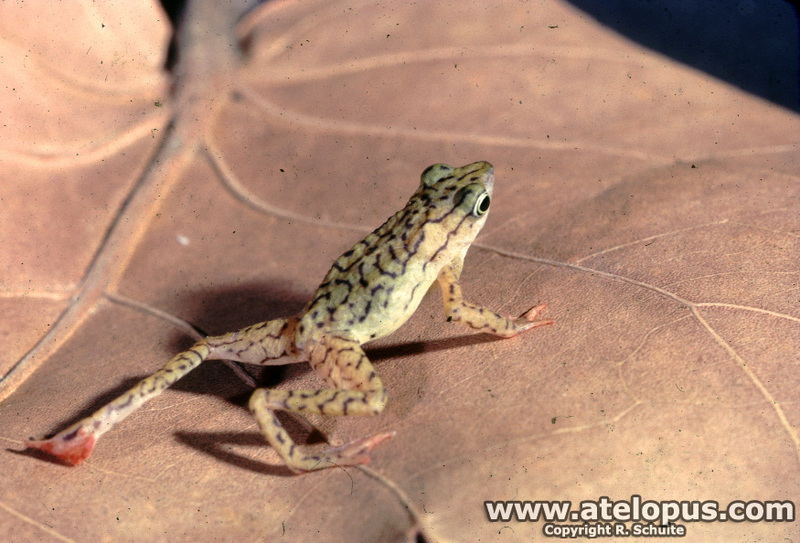 Atelopus reticulatus is listed in IUCN Red List as "Critically Endangered" and it is a very long time since it was observed in the habitat in Peru, Departamento Ucayali, Cordillera Azul, 1600m asl. There is no information on the population of this species. It appears that the last record was in 1992, but the lack of subsequent observations might be due to lack of survey work. 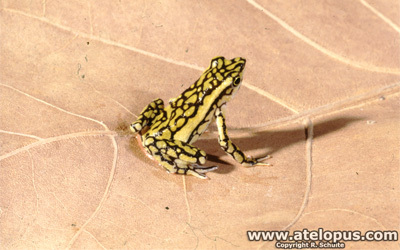 The last observation that Atelopus.com know about was by Rainer Schulte at the moment he took the photographs of the species. The holotype for the species was collected by V. Ennenbach in 1980. Notice the photos of the holotype. Listed as Critically Endangered because of a projected population decline, estimated to be more than 80% over the next ten years, inferred from declines in other high altitude Atelopus species in the same region, probably due to chytridiomycosis. If you have any observations or other information about Atelopus reticulatus or some activity in the area around the habitat, please contact us. 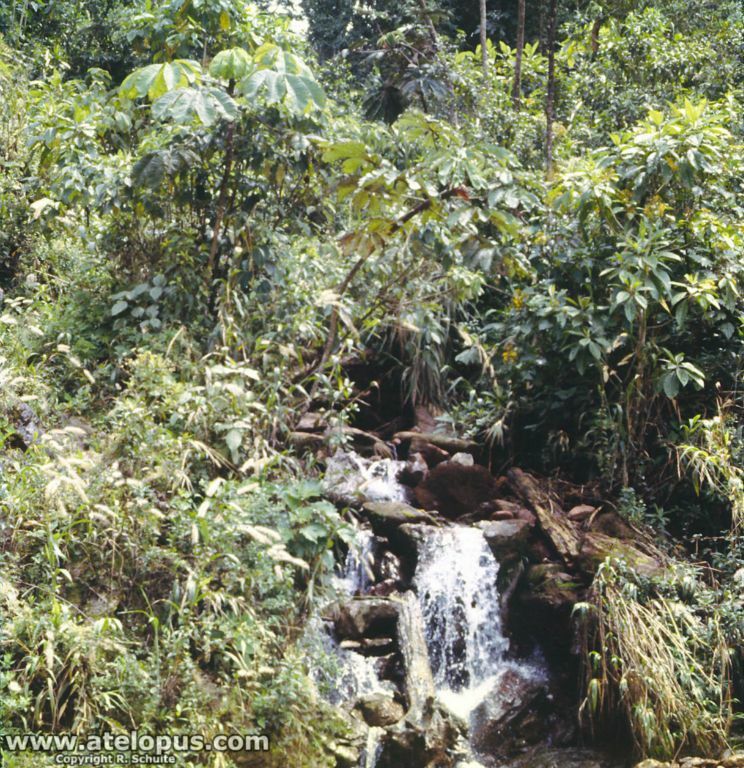 It is recorded from primary montane tropical forest. It is not known whether or not it occurs in modified habitats. Breeding is believed to take place in streams, like other species in the genus. The major threat is likely to be chytridiomycosis, leading to a catastrophic population decline, as has occurred in many other montane species of Atelopus. 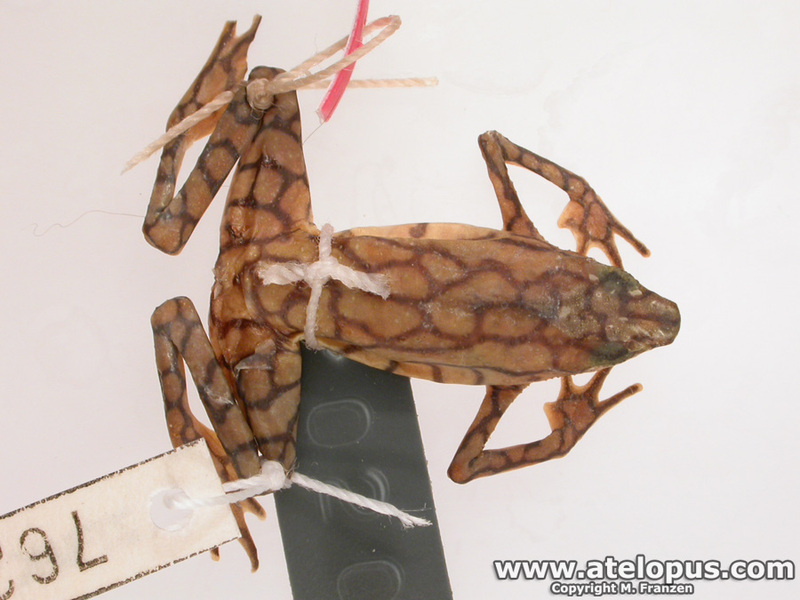 The chytrid pathogen has yet to be found in this species, but the disease is known to be spreading in northern Peru. 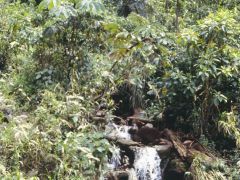 Its habitat might also be threatened by small-scale agriculture (e.g., cocoa and tea), but this requires further confirmation. The presence of this species in the Parque Nacional Cordillera Azul is possible, but is not confirmed. Further survey work is required to determine the current population status of this species. Given the threat of chytridiomycosis, recommended conservation measures will probably need to include the establishment of a captive-breeding programme. 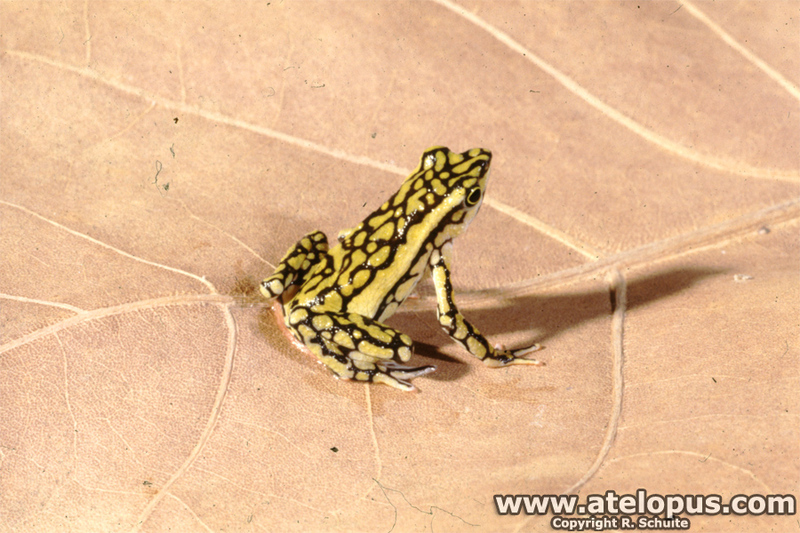 Stefan Lötters, Winfried Haas, Susanne Schick & Wolfgang Böhme (2002) - On the systematics of the harlequin frogs (Amphibia: Bufonidae: Atelopus) from Amazonia. I: Description of a new speciesfrom the Cordillera Azul, Peru; SALAMANDRA, Rheinbach, 38(2), 2002. PDF Available. Stefan Lötters, Jorge Luis Martinez, Rainer Schulte 2004. 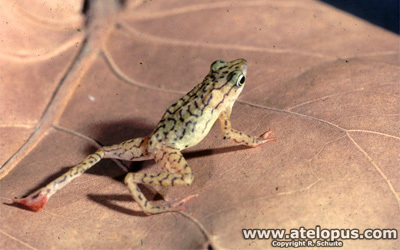 Atelopus reticulatus. The IUCN Red List of Threatened Species. Version 2015.2. <www.iucnredlist.org>. A. reticulatus from Departamento Ucayali, Peru.